Dave does a spot of shunting! 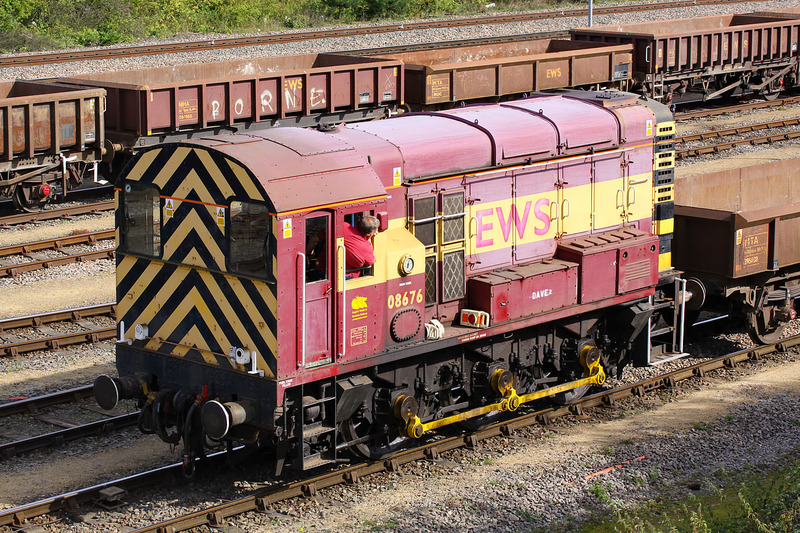 On 24 September 2009, 08676 Dave 2 shunts a short rake MTA wagons in the ballast sidings which now form the bulk of Hinksey Yard, near Oxford. Constructed on the Oxford floodplain during the Second World War, the sidings were originally busy with general freight traffic, before gradually becoming less used during the 1960s and 70s. The conversion to a civil engineers ballast depot naturally caused uproar among local residents who weren't old enough to know what it was like before.